Panniers, a wren and a thrush. Out next pack is going to contain the GWR 5400/6400/7400 Pannier Tank Engines and the BR built Hawksworth A38, A39, A40 and A43 autocoaches (2 of which were named "Thrush" and "Wren". But one of you went even further than that. Someone suggested (requested? pleaded?) for us to include a brand new, up to date model of the 5700 Pannier Tank as well. Which was our intention all along. We will also include the 6700 and 8750 variants of the 57xx class and lots of options to help you create as many of the 852 original engines as possible. The pannier tanks are such iconic Great Western engines and we are excited to be able to bring them to you with along with the Hawksworth autocoaches that people have been asking us for since we released the GWR Class 14XX Loco Add-On. Lots of pictures and information of the work in progress to follow in the coming months. 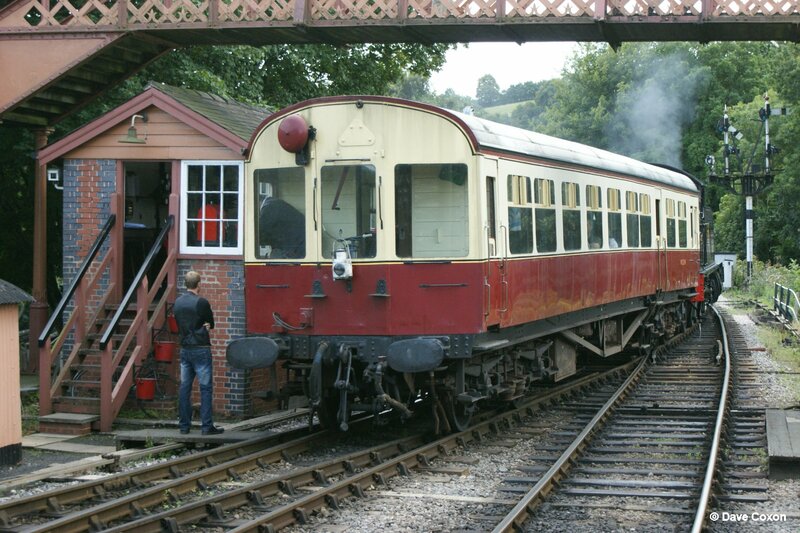 hi when you going to do the hawksworth painner 94xx in early br black and gwr green as a pack ? Yet another Victory Works "I can't wait for this to be released" project!! Brilliant............. can never have too much of anything GWR BR\WR. Great news. A variety of pannier types is a must for any GW based sim. Then we just need a Dean Goods and a Bulldog to complete the picture. Another developer promised a 28XX a while back whcih would complete the scene. Fantastic. The county was your first project that wasn't an insta-buy (i like my locos smaller) but this sounds fantastic. Love a pannier. 1501 is the only loco I've done more than a couple of hundred feet on so hopefully you follow through on that, but the 57xx and 64xx are right up my alley. Good to see some better panniers are going to be out on the market! The predecessors have horrible steaming rates and need the most delicate of fires! Will you being doing weathered versions of some of the engine liveries? I.e BR Black/Green. And what are the odds of a Wartime Black livery? Will you be making also saddle tanks? You should make a decapod tank engine after this is released. Very exciting news. A proper pannier to romp about in. And the last line has me really salivating. 1501 is the only loco I've done more than a couple of hundred yards on the footplate on, firing for two miles up the bank from Bewdley and then taking the regulator from after the tunnel into Kidderminster. Even with load two on she was great fun and made a surprising amount of noise, you couldn't here what the guy standing next to you was saying as you peoted through the tunnel. Both that and the 64XX/74XX pack are instant buys.